In Emma Harriet Smith isn’t supposed to be an ugly duckling so much as something much worse – poor. And, I actually think that class issue comes through in Clueless too. And the clothes!! I thought they were sooooo awful back then, but kind of love them now. Preps! 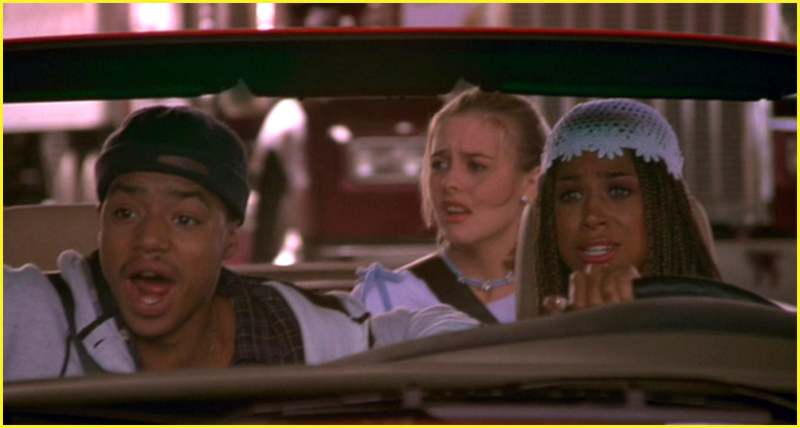 If only the world of High School had more well meaning girls like in Clueless it would be less of High School Hell. Yahoo, movie poster design, I love it!! I keep thinking the guy in the bottom right hand corner is Paul Reiser. 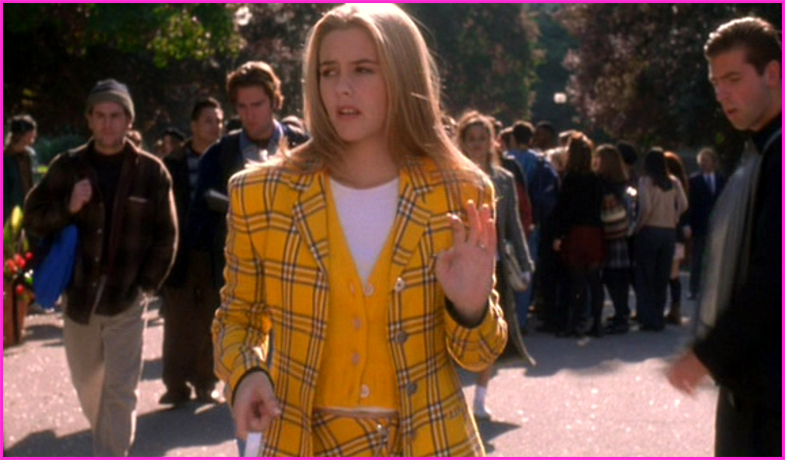 you know my feelings about clueless. its perfect!! my friends and i knew the sound track by heart! alicia silverstone is perfect in it! i love her forever! and i love the little diet coke can in the corner. adorable! Another excellent choice! I’m a fan. I watch this movie every time they rerun it on television, which is quite frequently. You are correct in that this movie changed style in the 90s. We were flannel, construction booted, doorknocker earrings, and bright red lipstick until this movie came out. Then girls started wearing baby doll t-shirts and skirts en masse. It was also one of the first movies that recognized a teen market. I also like that the film touched on social issues such as acceptance on homosexuality (Christian being gay) as well as racial equality (Cher’s best friend, Dionne. Both of them were just as popular as Cher. 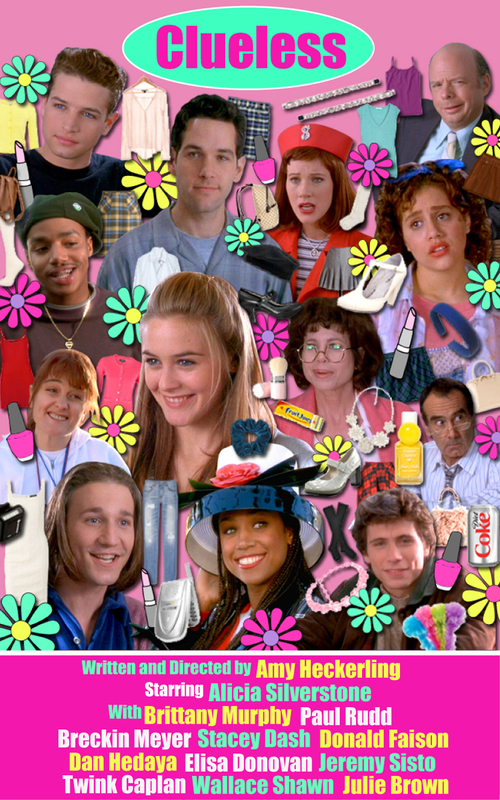 Although the focus is on Cher’s story, it just cements the fact that Clueless is not your typical shallow teenage movie.